Home » Is It Unsafe To Drive With The Handle Up On Your Infant Car Seat? Yes, On Some Models! While out the other night a friend told me that using an infant car seat with the handle up while driving can compromise the safety and cause it to not protect the baby properly in the event of an accident. I had no idea this could be a problem and am pretty sure I have driven with my baby in the infant seat with the handle up. The reason many seats require you put the handle in the in-vehicle (or “down”) position while traveling is because the handle position can actually affect how the carrier performs in a crash and or crash simulation. The fact that the handle can move changes the center of gravity and thus changes the weight dynamics of the seat. A lower center of gravity (ie with the handle down) makes it “easier” to pass the Federal Motor Vehicle Safety Standards. For many carriers out there it can mean the difference between passing and failing the minimum Federal Motor Vehicle Safety Standards. If you had to rotate the handle to the forward position, the carrier would require more room between the carrier shell and the vehicle’s front seat-back in order to clear the handle of the carrier…and, with the trend of larger, high-weight capacity carriers and smaller cars – is not a desirable combination. 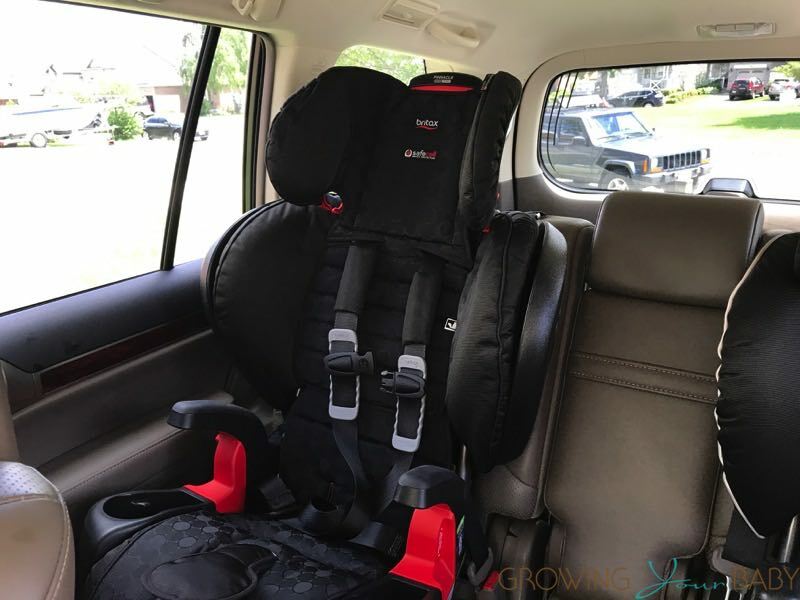 There are now a few infant carriers on the market that allow you to keep the handle in the carrying position while transporting the child/carrier in a vehicle. There are however no carriers on the market other than the Chaperone that feature True Side Impact Protection (with non-rethread harness adjustment), an Anti-rebound bar and the convenience of a handle that can be left in any locked position. Please note that I did not list the fact that people want to hang toys off the carrier’s handle as a reason for us developing the carrier to be able to leave the handle up. Due to the fact that toys are never crash tested on any carrier (and their size and weight and material vary so widely), they are not recommended to hang off a carrier’s handle while in a vehicle. So, after this, I checked my infant seat and it specifically says on the side to put the handle down while the vehicle is in motion. Ughhh! 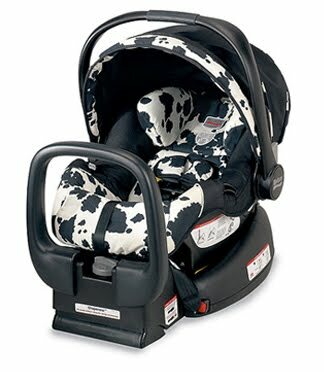 Additionally, I contacted Peg Perego, Dorel(makers of Safety 1st, Eddie Bauer and Maxi Cosi), Graco and Evenflo. Of those manufacturers, both Dorel and Graco told me that their newest seats have been engineered so that the handle can be left up if it is locked. Peg Perego and Evenflo both told me that the handle has to be locked behind the baby.